The NEON collection celebrates a calm aesthetic of multi stripes with just the slightest hint towards neon. Contrasting textures of waffle and canvas make this a delight to the touch. 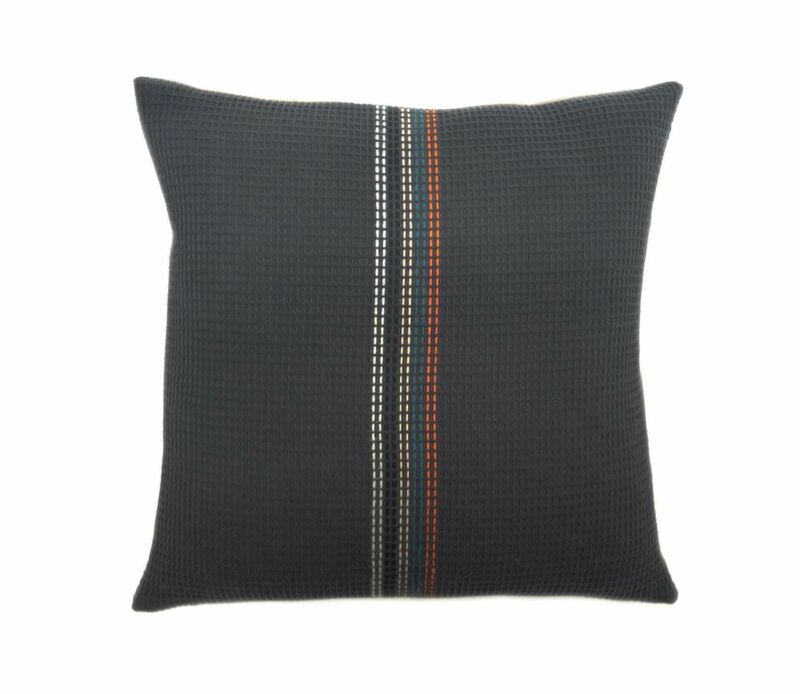 A solid stripe of embroidery makes this a striking stand-alone cushion. Named after street names in Leyton in East London.